From Adidas to Zhik – and everything in between. 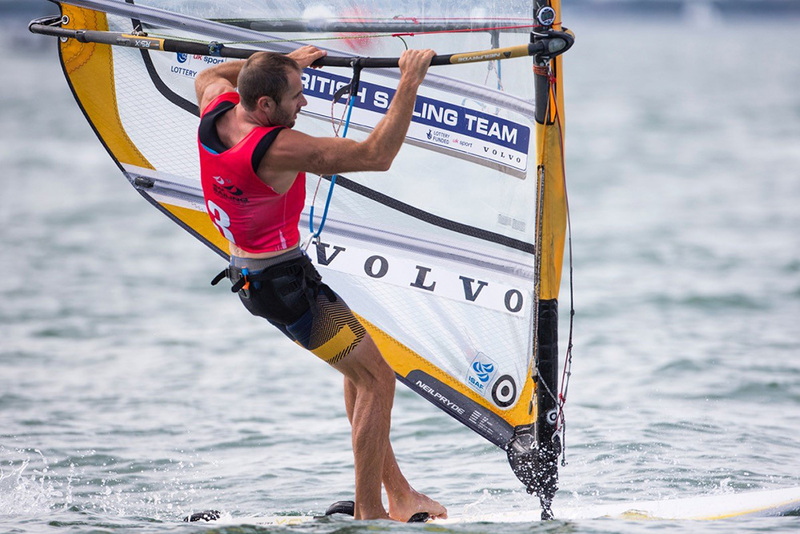 Rob Melotti reports on the best new sailing kit to look out for in 2016. Perhaps the hottest sailing brand on the planet at the moment, Zhik has produced footwear before, but never like this. 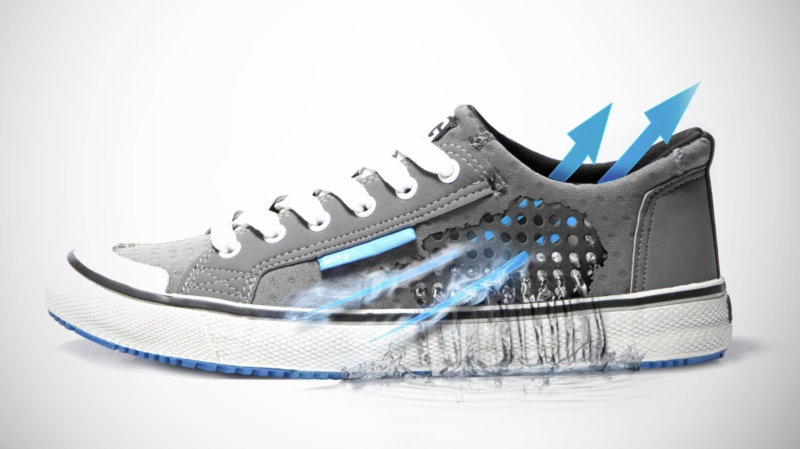 The unique porous neoprene releases moisture rapidly and the Converse styling and rugged rubber soles make them wearable on land whenever and wherever. Check out the video for more info. 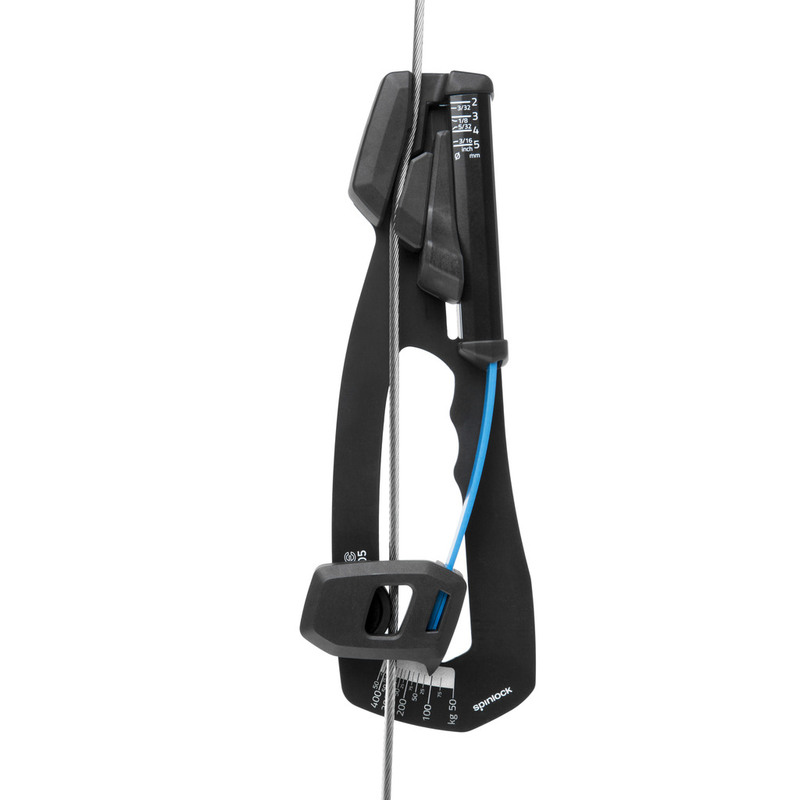 First spotted at the 2015 Southampton Boat Show on the TCS stand, a few months down the line and the Spinlock Rig-sense is making waves, offering competitive skippers a digital-era device to record and set the tension on the boat’s shrouds and stays. Featuring a composite calibrated leaf spring, it’s a direct competitor for the American Loos gauge, but for now the Rig-sense is for dinghies and small keelboats only. 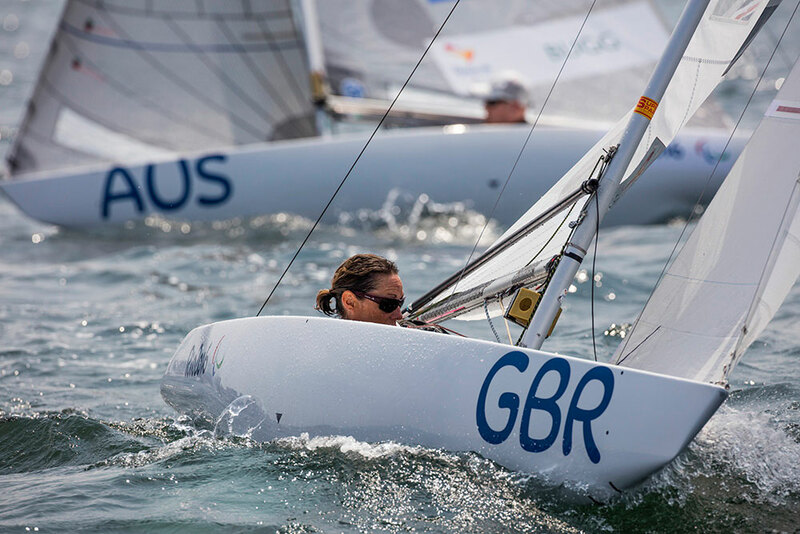 Aimed squarely at the UK racing sailor, the KB1 jacket and salopettes are made using Gill’s own 4 Dot fabric – 5 Dot is for their Ocean gear – and offers levels of durability and protection more usually found at a higher price elsewhere. 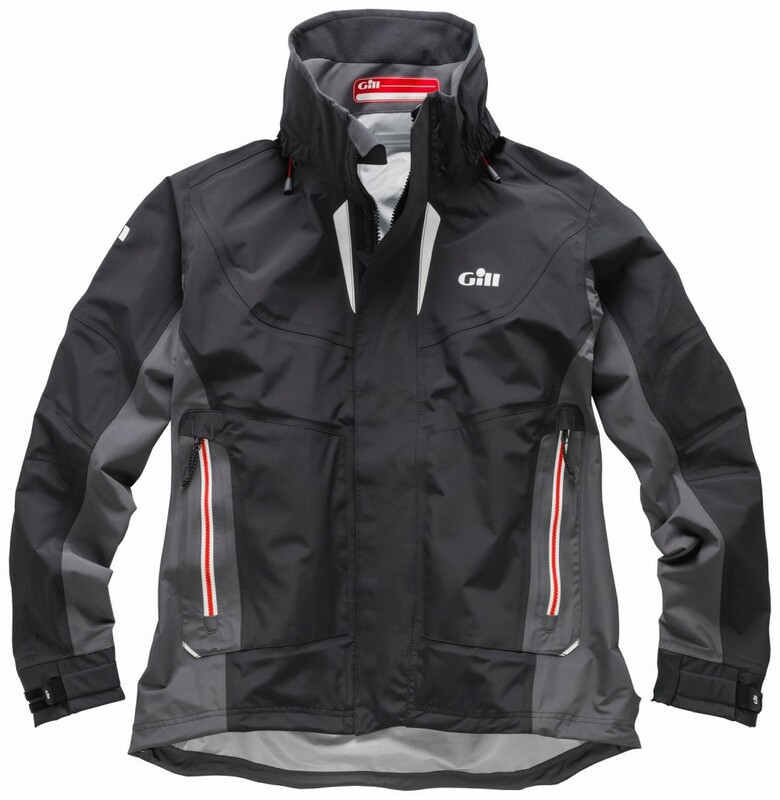 The fabric has been improved by reducing weight, increasing durability and breathability, and on the design front, the jacket (or smock) comes with a re-engineered hood that stows away very neatly in the collar. 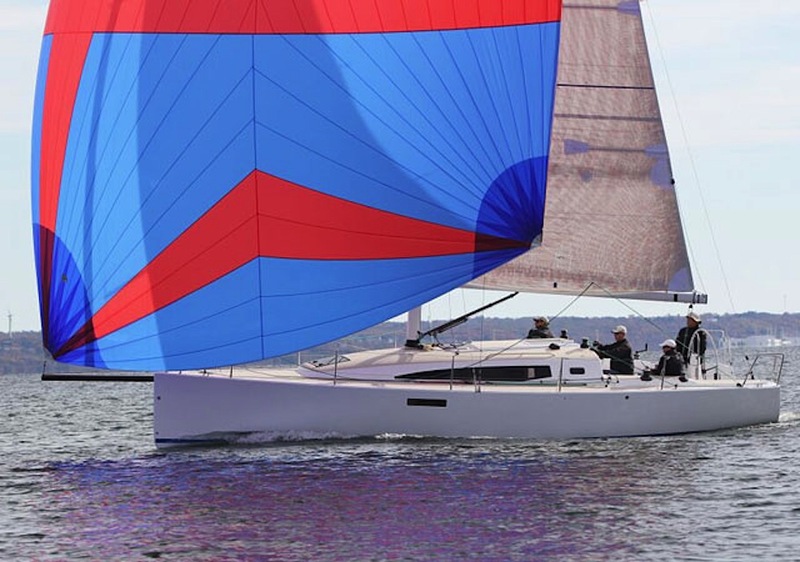 The Advanced Wing Systems semi-rigid wing sail is a great example of “trickle-down technology” as the amazing power of the non-flappy aerofoil is made into a user-friendly, easy-to-reef device that is designed to be of equal use to cruisers and racers. 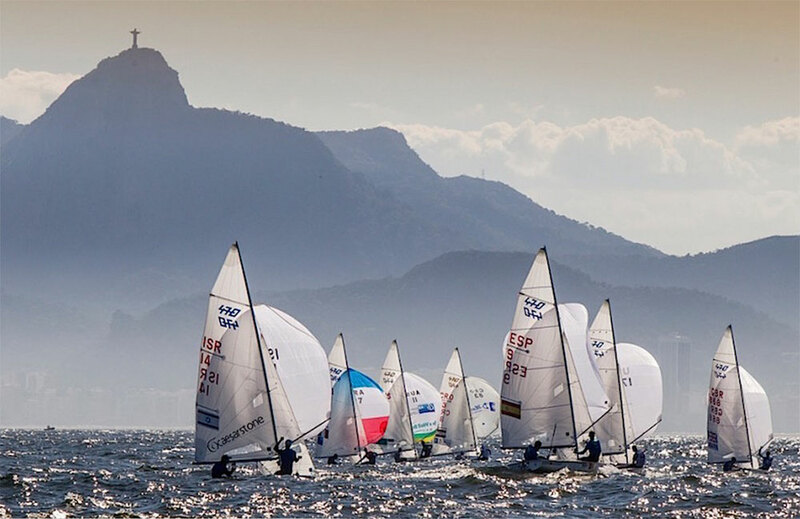 With notable success in prototype form aboard a Mini 650 and a Moth dinghy, the purpose-built K8 keelboat is now getting noticed around the world. Advanced Wing Systems Semi Rigid Wingsail (SRW). 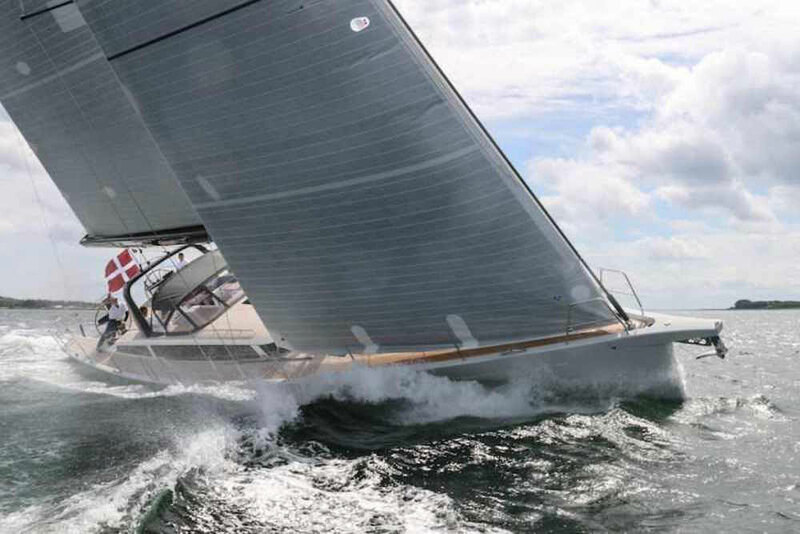 Foiling for monohulls is much trickier than it is for multihulls, but progress has been such over the past few years that 2016 could well be a turning point. 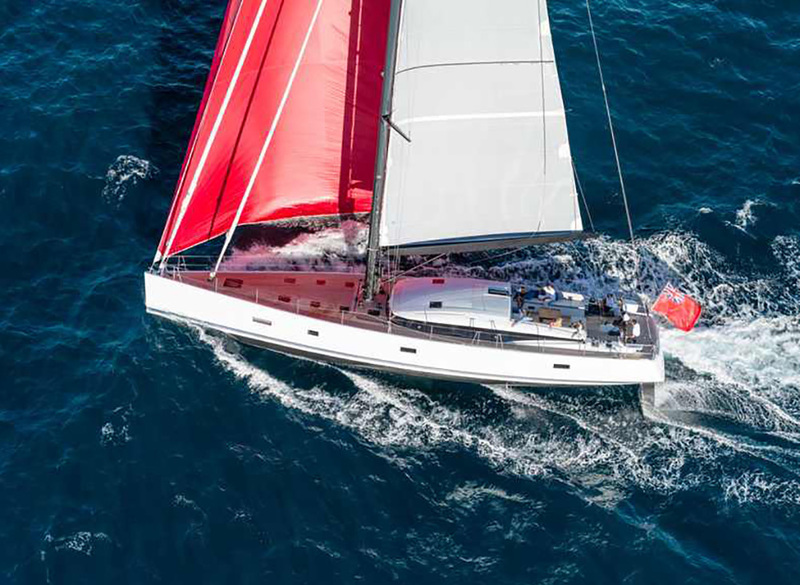 DSS started off as a cost-effective lateral foil – dubbed the “ironing board” – fitted most famously to the Sydney-Hobart race winner Wild Oats XI, and has now morphed into a J-shaped hydrofoil that has been fitted to several IMOCA 60s and the Topper-dinghy-shaped Quant 23. The ocean-racing results have been mixed so far, and there will need to be some serious consideration given to changing class rules even further, but the 2016 Mini Transat season, which kicks off in Spring, will feature the first 6.50-metre pocket rockets fitted with the new technology, plus there’s a brand new Infiniti Farr 53 due to be launched this year – not to mention the Vendee Globe in November. Fun, fun, fun! 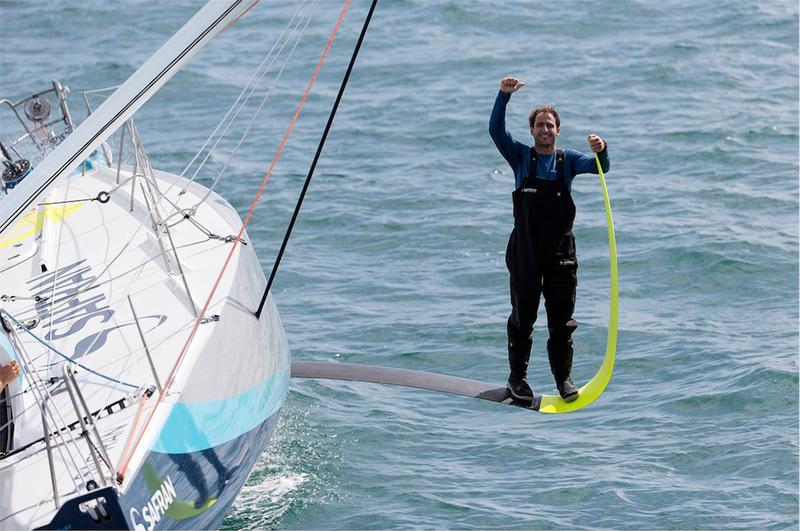 Imoca 60 skipper Morgan LaGraviere perched on top of the extreme DSS foil of his new boat Safran. The B&G Vulcan range is optimised for sailing with the ability to show wind shift sectors and laylines as well as a feature called Sailing Time, which calculates the time of arrival at the next waypoint based on realistic sailing manoeuvres rather than a straight-line caluclation. 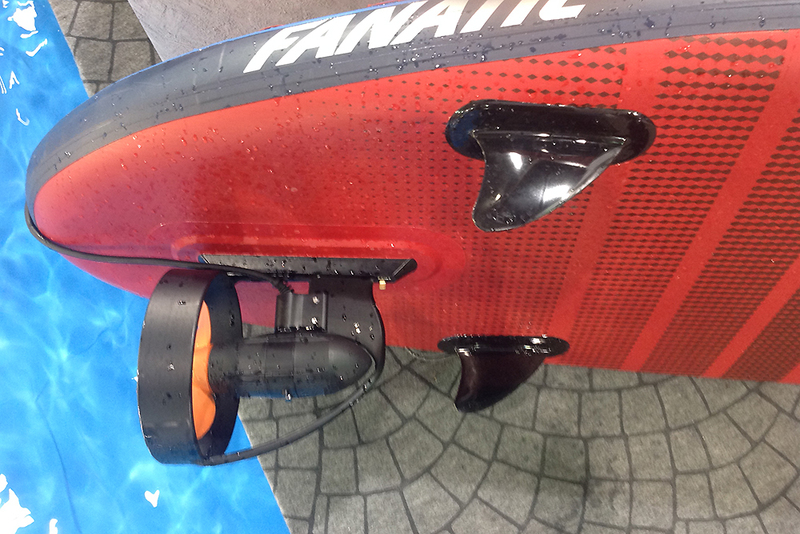 The FS is new for 2016 and is Forward Scan-enabled. Forward Scan enables the helm to view the depth up to 10 boat-lengths ahead of the bow, giving plenty of notice to even the fastest cruiser that it’s time to alter course! Price: from £400 (Forward Scan £600). 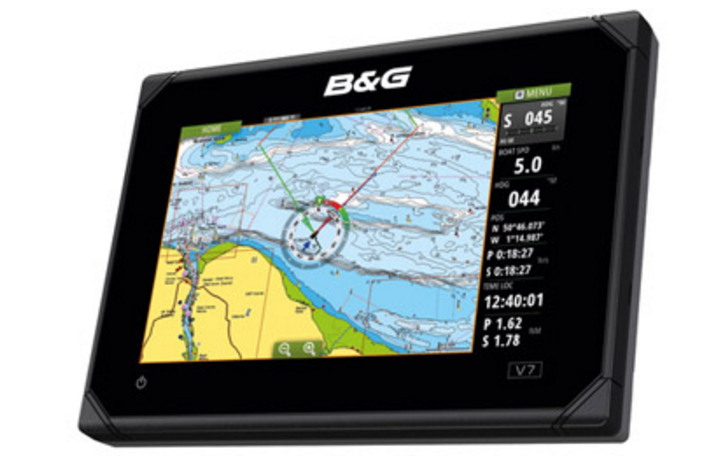 B&G Vulcan 7 FS chartplotter and multifunction display. Garnering a “special mention” at November’s DAME awards at Amsterdam’s Marine Equipment Trade Show (METSTRADE), the Navionics+ iPad and iPhone app (not yet available for Android) provides a port-to-port autorouting option taking into account your boat’s draught and providing estimated arrival times. Autorouting itself is not new, but what this app brings to the table is the ability to determine the entire voyage (port to port) taking into account all charted hazards. Price: £150 (with UK, IRE and Holland charts). 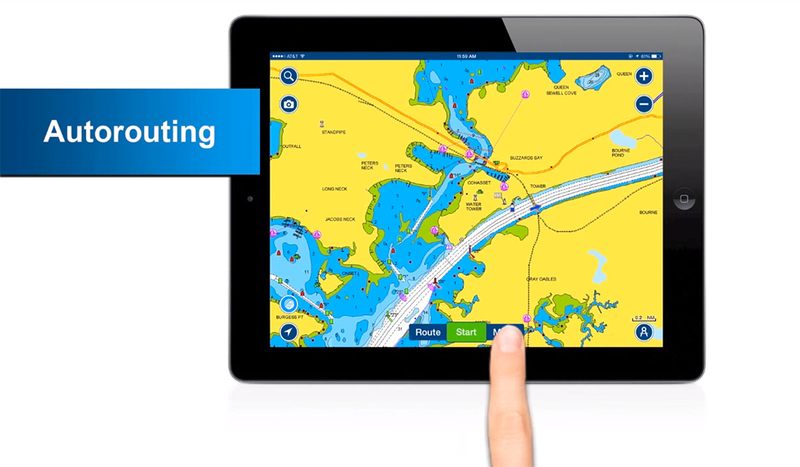 Navionics+ now offers iPad and iPhone dock-to-dock autorouting. On sale from February, the Henri Lloyd Flex 3D jacket beat 51 other clothing products to win a DAME award at November’s Marine Equipment Trade Awards (METSTRADE) in Amsterdam. As the name suggests, the material stretches with the wearer’s movement, but what’s innovative is the specially designed wadding inside that retains its thermal properties even at full stretch. 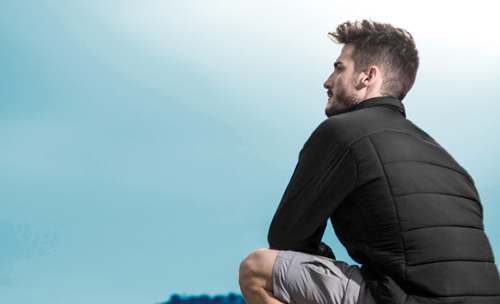 Henri Lloyd Flex 3D jacket. Photo Lloyd Images. 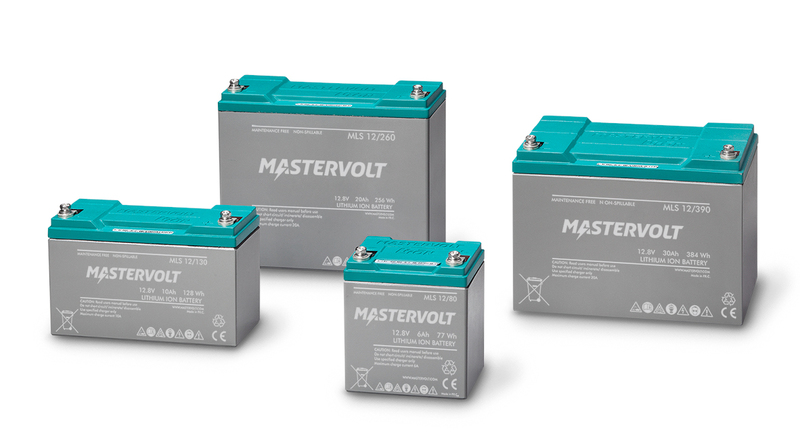 Mastervolt has now produced a range of entry-level 12-volt lithium-ion batteries for use in even the smallest boats. 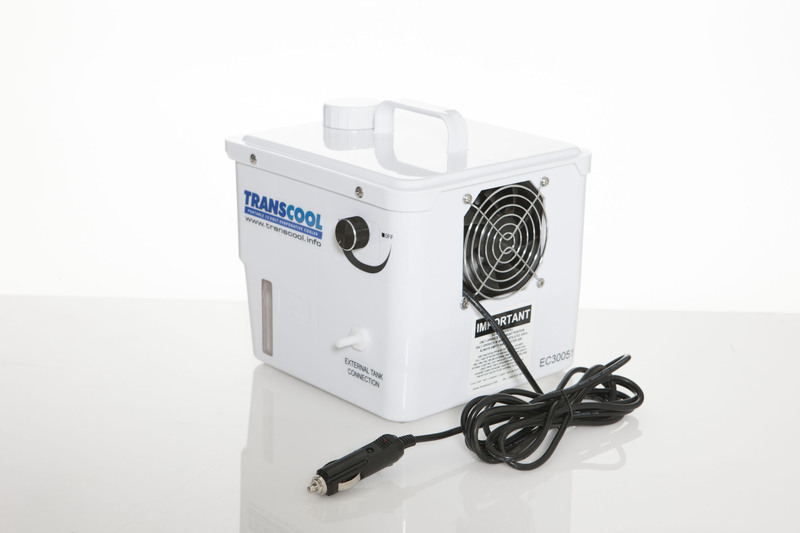 Ranging from 30 Amp-Hours (AH) down to just 6AH, the MLS series will beat almost any non-Lithium battery in terms of lifespan, weight and size, while also offering fast charging times, up to 80 per cent discharging and an integrated battery management system to prevent over-heating and over-charging. Mastervolt MLS entry-level Lithium Ion battery range. Thin film photovoltaics (TFPV) could be the power source of the future – not only for yachtsmen, but for any structure on land or sea that is unable to support the heavy glass boxes you see installed on residential roofs all over the country. 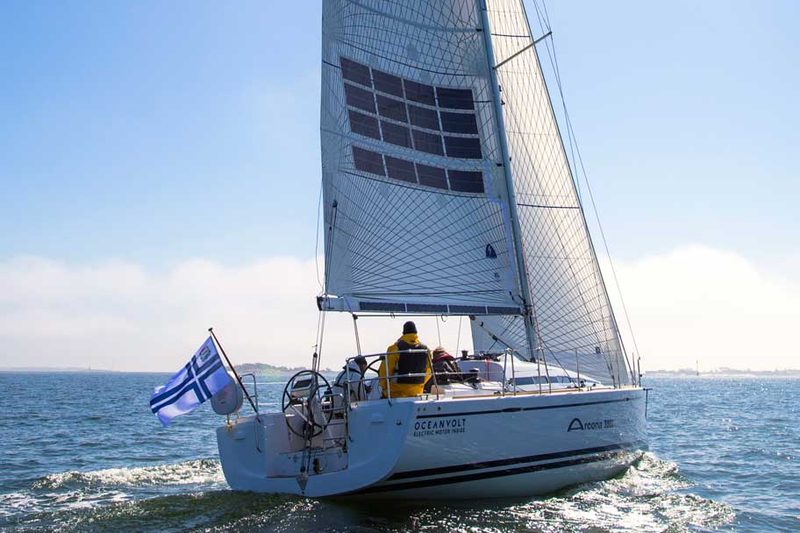 Of course the drawback is that TFPVs cost twice as much and produce 15 per cent less power than their burly predecessors, but the ability to recharge batteries from an awning or a main sail, leaving the coachroof space free of solid, sharp-edged solar panels is a major breakthrough and looks likely to gain ground in the marine industry in 2016. 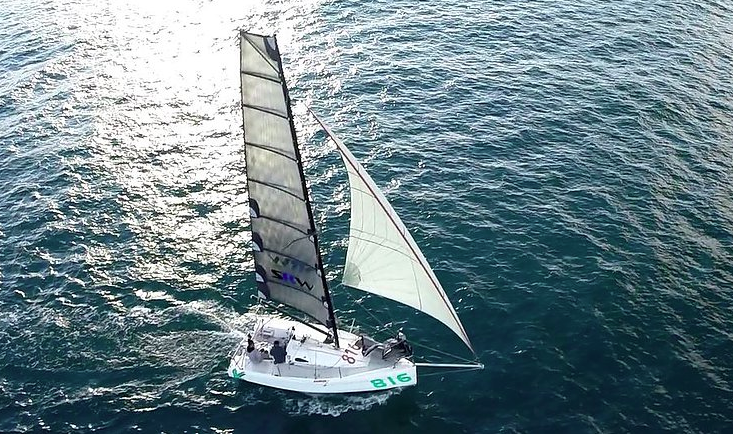 The company is currently working on a project to use its solar sails on a zero emission IMOCA 60 challenge for the 2016 Vendée Globe, more news of that when we have it. See the Solar Cloth System website for details. 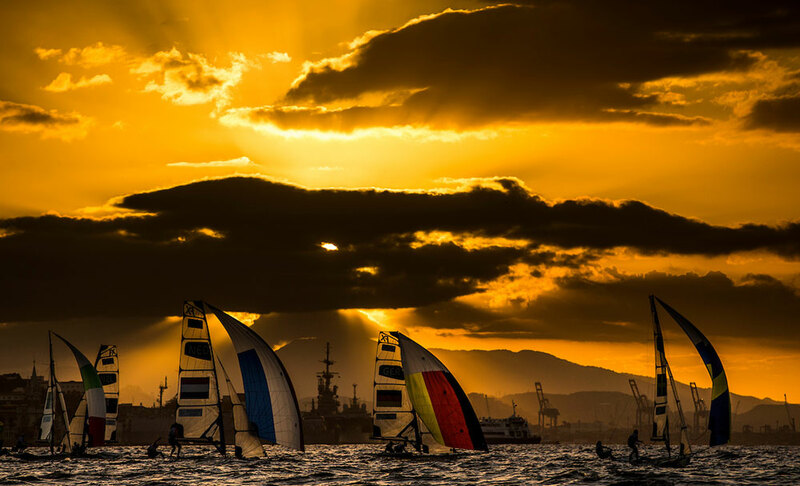 Get more power from your sails with sail material that has solar panels embedded within the fabric. Launched in August last year, this is a satellite internet connection with an external dome that only weighs 2.5kg. Intended for fishing and leisure boats, voice coverage is worldwide, whereas coverage for data use is less extensive, but covers most of the popular cruising grounds including the Atlantic coast of Europe out to the Azores, Madeira and the Canaries, the entire Med, East Coast of the USA, Caribbean and Bermuda, the whole of Australia, New Zealand, South Pacific and China Sea. With download speeds of maximum 100kbps – this is nothing like the fibre-optic speeds most of us take for granted at home – think an absolute minimum of 80–90 seconds per Megabyte download speed and 5 or 10 times that amount for uploads. But the contracts are flexible and the gear is marinised. See AST Systems or Inmarsat for details. Price: from £3,300 (hardware only). Inmarsat Fleet One satellite communication system. Winner of the overall DAME award in 2010, Selden's reversible winches are hardly brand new this year, but amazingly, this is still the only manual unwinding winch on the market. 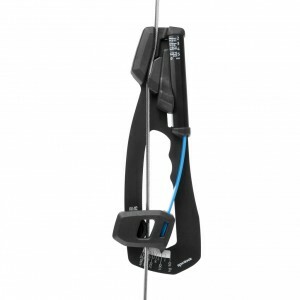 Simply press a button on the dedicated winch handle and without releasing the self-tailer, unwind the line. Nice. Overall DAME Award winner from 2010 – the still under-appreciated Selden reversible winch made another appearance on the Selden METS stand. 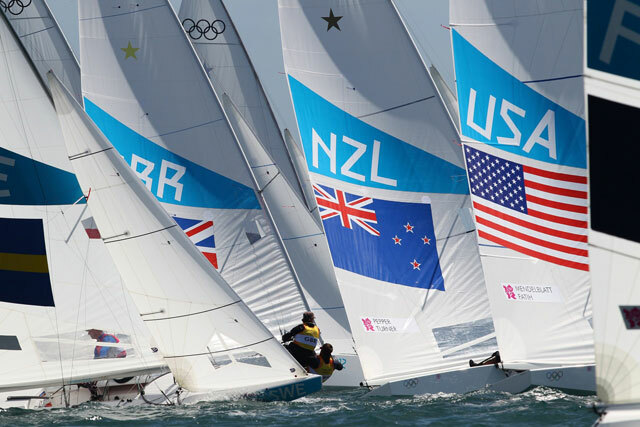 One of the world's biggest sports brands is back in the sailing game again with sponsorships in the action classes: M32, British Sailing (Olympic classes) and the America’s Cup. 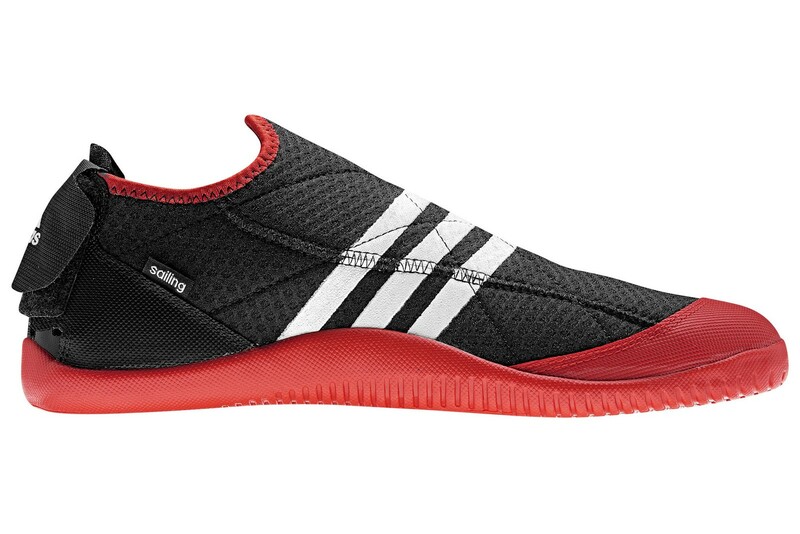 Look out for the bright red and black Adipower trapeze shoe – there are reports of people ordering from Germany as stocks run low in the UK. See Adidas Sailing for details. 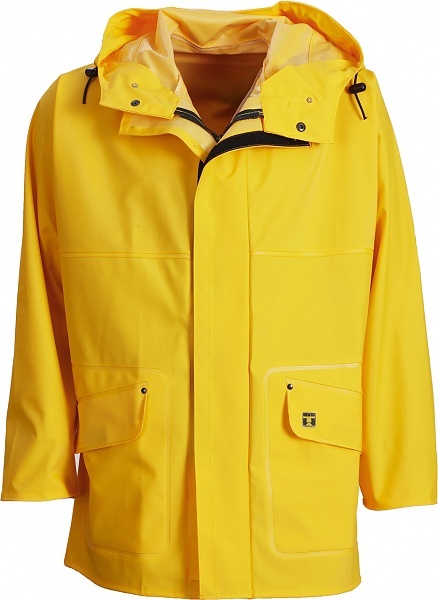 This year could see the revival of bright yellow PVC waterproofs from the likes of Guy Cotten, thanks to the Donald Crowhurst biopic starring Colin Firth, which is due to be released this year, as well as the announcement of the 2018 Golden Globe Race. Available in adorable kids' versions too. Guy Cotten PVC Derby jacket. Following up the successful Moljnir, which only measured wind strength, the Sleipnir, which plugs into the headphone socket on your mobile phone, can also pinpoint the wind direction and is certainly easier to dismantle and stow in a pocket. See Vaavud for details. Vaavud Sleipnir can detect wind speed and direction attached to an app on your mobile device. 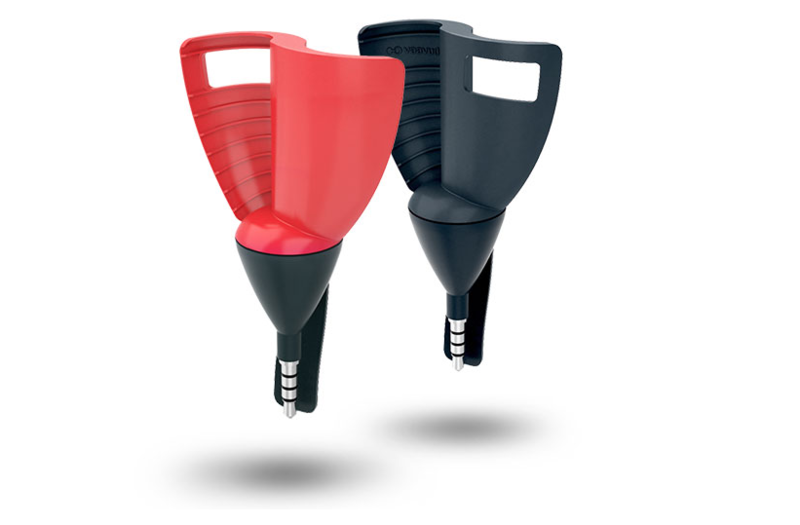 The miniature Windoo 3 (it’s the size of a pen lid) is a complete weather station that plugs into the headphone jack on the edge of your phone and records wind speed, wind direction, temperature, humidity and pressure. 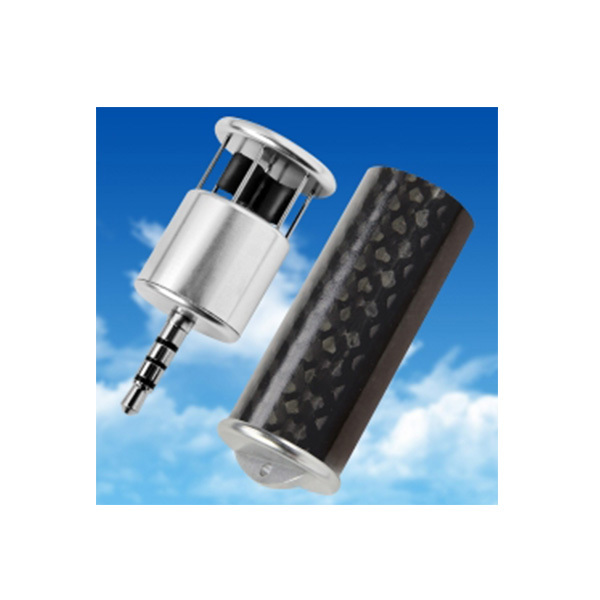 Skywatch Windoo 3 mini weather station. This is not strictly a sailing item, but perhaps the start of something big. Basically it’s a modified Torqeedo ultralight 403 with the shaft removed and a fitting for a standard finbox instead. Designed by Golden Arrow Marine in Poole and weighing 7kg including the battery and controller (both of which are secured on the top of the board) there’s the potential to zip around for hours using a mix of paddle and electric power. Torqeedo Torqboard available from Arrow Marine in Poole. 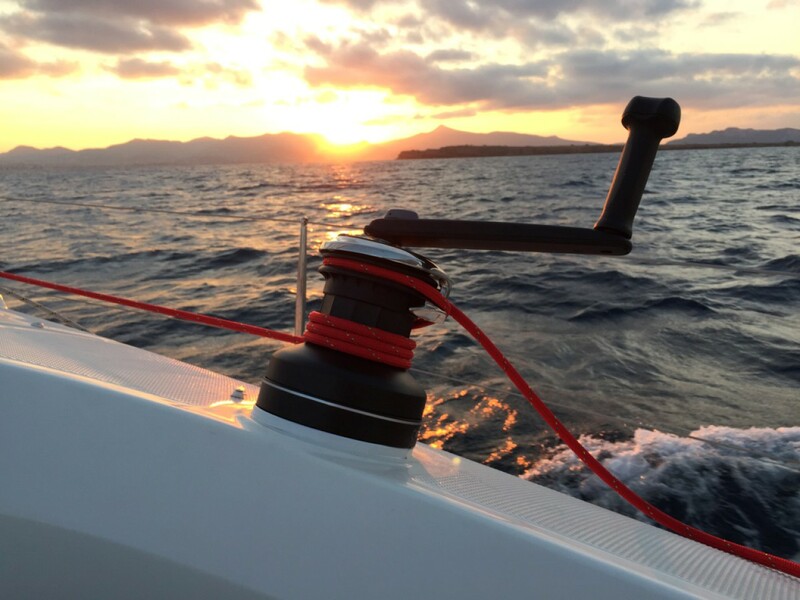 With multiple moving parts but no electronics, the wrist compass can help you visualise the wind shifts while sailing, enabling you to make ground to windward faster than your opponent. See Tacking Master for details. 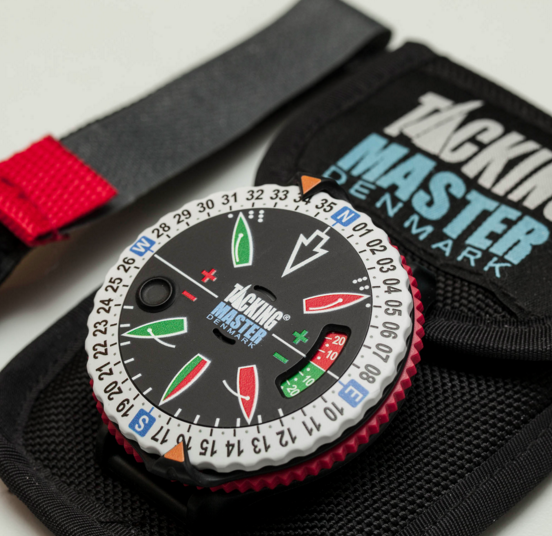 Tack Master tactical watch and compass. 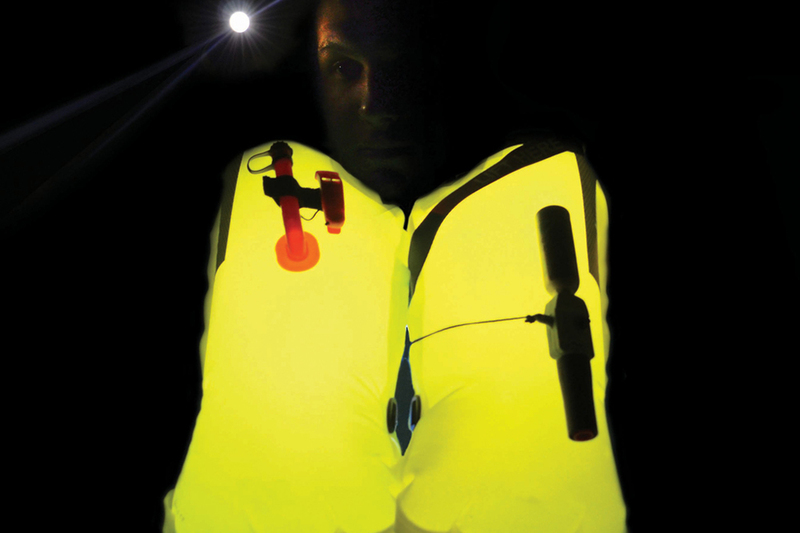 Overall winner at the 2015 DAME awards, Spinlock’s Lume-on is a retro-fittable lifejacket light that illuminates the entire (usually yellow) inflated portion of the wearer’s lifejacket. A lot easier to spot at night than a single light source. 2015 overall DAME award winner Spinlock Lume-On lifejacket light. Please note: prices were as accurate as possible at time of going to press but may be subject to change depending on exchange rates.